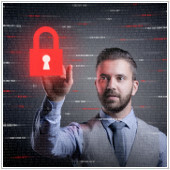 Ways to handle virtualization security risks | Whatever IT Takes. Real People, Real Service. ← Is your continuity plan doomed to fail? Responsibility – Designate an IT technician to watch over your virtual machines to ensure zero security gaps.If you prioritize proper management of your virtual machines, security doesn’t have to be an issue. Get in touch with Lanlogic if you’re interested in getting additional assistance for your virtualized infrastructure or if you’re planning to implement a new virtualization solution. Call Lanlogic today! (925) 273-2333.